The Premier League is well underway and the world is yet again engaged in the exciting drama circulating around English football. Often regarded as the toughest and the most entertaining league in the world, the English Premier League is adored by fans worldwide. Players put their bodies on the line every season in order to achieve something special. Records are on the line every year, while some are successfully broken whereas others stay rock solid. Given the fan base and stature of the EPL, it is generally a huge honour to have a major record to your name. Alan Shearer, the former Newcastle skipper holds the record for most goals scored in the league with 260 to his name while Gareth Barry is the most capped player with 653 outings in the top flight of English football. There are numerous records and it is quite obvious that Englishmen are very often the recipients in the EPL. However there are 5 player records that are held by non-English players. Some of these records seem surprising since foreign players don't generally spend a long time in England. When it comes to goalkeepers, the premier league can boast of many world-class footballers. From Peter Schmeichel to David Seaman, there have been many greats who took responsibility between the sticks for the club sides. With so many goals being scored, it is of little surprise that the value of clean sheets is immense. Of all the great goalkeepers to have ever played in the Premier League, Petr Cech stands tall with 202 clean sheets to his name. The goalie from the Czech Republic has been plying his trade at the North London club, Arsenal for the last 3 years but it was his performances for Chelsea that earned him the tag of a champion goalkeeper. Petr Cech spent 11 glorious years with the blues before switching to Arsenal. 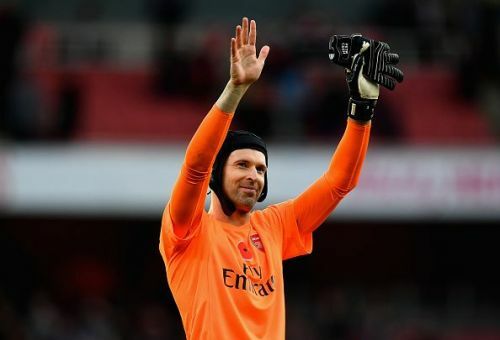 The giant Czech is still going strong for the Gunners and will surely add many more to his already sparkling number of 202 clean sheets in the league.